MISSISSIPPI STATE -- To many people, a wedding ring, keys to a new car and the title to a house should all quickly follow the college degree, but financial experts urge first-time home buyers to count the cost before making this decision. Many couples don't like the idea of paying rent, so they try to buy a house as soon as possible, sometimes even before the wedding. They see two incomes and a consolidated set of living expenses, and a home purchase seems like a good idea. 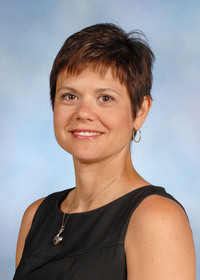 Bobbie Shaffett, family resource management specialist with the Mississippi State University Extension Service, urged couples to live below their means. Couples with two incomes should be in a better position to weather financial storms than individuals. However, those who spend all the money they make and borrow heavily can quickly get into trouble if life throws them a curve. Couples with clean financial histories easily qualify for a lot of credit, but Shaffett urged couples not to take these loans just because they are offered. “Banks make money by making loans. You have to make the decision for yourself if you can afford the debt and are comfortable with the payments,” Shaffett said. Owning a home limits mobility, so a couple considering a home purchase should first determine how settled they are in one area. If one person is job hunting, owning a home can limit the search to a certain geographic area. Another factor to consider is today's housing market. Shaffett said housing prices are high in many areas because of the Hurricane Katrina-related housing shortage and recent low interest rates that encouraged many people to buy houses. “Most of the time, housing prices continue to rise, but with the price of houses in Mississippi on the high side, there is a chance the values could go down in the next few years,” Shaffett said. Many couples compare a monthly mortgage note with a rent bill and find them similar, but hidden costs include closing fees, the down payment, insurance, furnishings, lawn improvements, and routine repairs and maintenance. Shaffett said lending institutions typically calculate borrowers' existing debt load and compare it to their income. Total debt obligation, including the mortgage and all other debt, should not be more than 36 percent of income. Housing that costs more than 30 percent of a family's income is considered a housing burden and above 50 percent is a severe housing burden. She urged borrowers to seek fixed rate mortgages and stay away from interest-only loans and adjustable rate mortgages. Susan Cosgrove, Extension family resource management area agent in Newton County, said couples should develop a written financial plan shortly after they are married, if not before. “A budget will let the couple see what income and expenses they have. They can decide whether to have a joint account. If they maintain separate accounts, this can help them determine who pays what bills,” Cosgrove said. Couples anticipating a house purchase should pay off other bills, freeing up income and reducing their total debt load percentage. They should consider their current and anticipated future housing needs, keeping in mind possible children or pets. Comparison shop for a house as for an automobile, and make sure that the house being considered is one that can be resold easily later.